"I play bass as a lead instrument in Alice Sweet Alice as our songs can be very bass heavy. I have always had a heavy sound, but until I started using Barts in 2000 my tone was just a shadow. I now have the power and clarity I need to make Alice Sweet Alice’s songs some of the most powerful I have ever played." Alice Sweet Alice (ASA) founder Scott Martinez is a bass player and multi-instrumentalist, a singer, a composer, a lyricist, session player and audio engineer specializing in the Alt. Rock and Hard Rock genres. His primary group Alice Sweet Alice which is based in Kansas City, Missouri, plays Alternative Rock that hails from the post punk era - with textures of metal, electronica and jazz. ASA tours primary in the Midwest from Chicago to New Orleans, but will be branching out to the east and west USA in 2017. He arranged, produced, and recorded all of ASA’s albums. Scott first discovered music in the woods of Maine at a very young age. Sitting around a campfire with his Grandfather, someone pulled out a guitar and started singing. Drawn in through the eyes of a child, Scott was amazed at how something so simple could be so powerful. 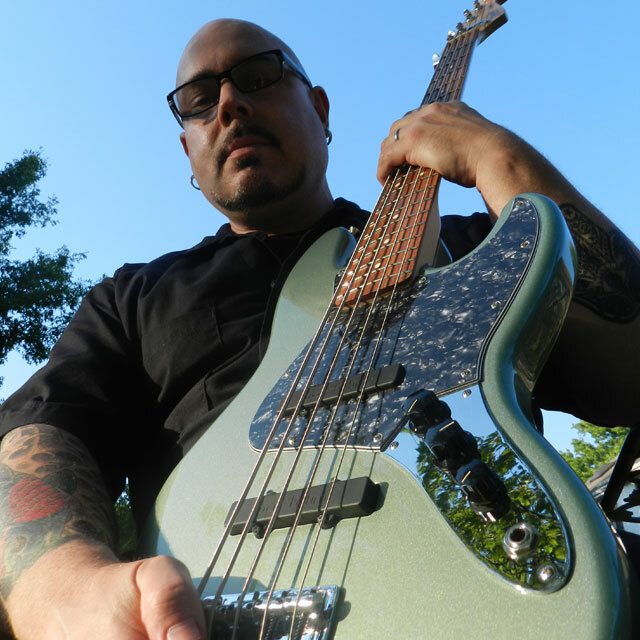 A completely self-taught musician, Scott first was drawn to guitar, and when his first teenage punk band needed a bassist – Scott stepped up and bass became his primary instrument. Scott also plays guitar, keyboards and percussion instruments for ASA and client studio projects. Although Alice Sweet Alice keeps him quite busy, Scott also owns Audio Cave Recording Studio in Kansas City, a boutique Project Studio that is hybrid analog/digital. Scott is available for session work, mixing projects and full band recordings. Scott has been in involved in the production of music projects from the Midwest and all over the world.